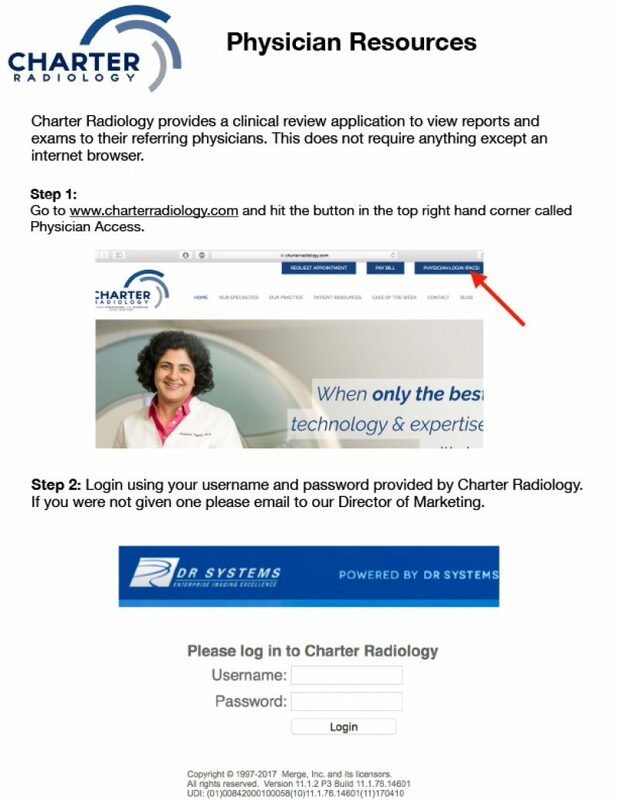 Charter Radiology invested heavily in a web-based clinical review solution that provides referring physicians with a robust, intuitive, secure viewer for access to images and reports. For patients, this means quicker answers to medical questions and expedited treatment. The ZDA (zero-download ambassador) enables simple and low-maintenance access to results and can be used on most PCs and MACs without any new software downloads or installation. All you need is a web browser. Because the ZDA is the ultimate thin client, it also simplifies access to images/results from any location, EMR or PHR. Any text report that contains an embedded hyperlink or any email with an attached link can enable the credentialed user to directly access the ZDA, thus eliminating the need for more complex PACS interfaces.